SARAWAK will receive corporate social responsibility (CSR) contributions totalling RM450 million ($162) from Petronas for 2015 to 2019. 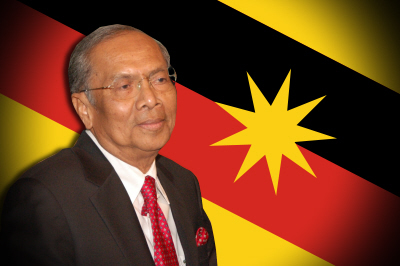 Sarawak Chief Minister Adenan Satem said this indicated that Petronas had always been a responsible and generous corporate citizen of Malaysia. He was speaking at a function where Petronas Chairman Sidek Hassan had announced a contribution of RM90 million ($32 million) to the state for 2015, on Wednesday. “Petronas has always been a regular contributor to our economy and has even gone to the extent of rescuing the nation at a time of acute economic setback. “It is also one of the foremost multinational companies of the world, as well as the country’s biggest tax payer,” he said. But he added that the state would continue to pursue its negotiation with Petronas for its oil royalty to be increased to at least 20 per cent. “It (negotiation) is essentially between the state and federal governments because if there is approval, it will come from the federal government,” he said. Adenan said he had talked to Prime Minister Najib Razak over this and hoped that he would consider this in the state’s favour. He said besides its many CSR projects and the payment of huge dividends to the state annually, Petronas had recently awarded contracts worth RM2.1 billion ($751 million) to the state. “We are closely monitoring this through a special committee to see the contracts are really given out,” he added. Sidek, in his speech, said the RM90 million initial contribution was to kick-start Petronas’ five-year (2015-2019) CSR initiatives in the state to enhance education, community development and well-being, as well as environmental conservation. He said the initiatives include the construction of a new Mara Junior Science College (MRSM) in Bintulu and two hostels to cater for rural students, besides the adoption of five schools in Lundu under the Trust School Programme (Sekolah Amanah) in collaboration with Yayasan Amir. Sidek said Petronas will also increase its educational scholarships under the Program Sentuhan Ilmu Petronas (PSIP) and Petronas Education Sponsorship Programme (PESP) for local students. He said the conservation of coral reefs at the 12,200ha Sibuti Reef Complex within the 186,930ha Miri-Sibuti Marine National Park is among 11 additional CSR projects involving community development and environmental conservation. Others include the setting up of community centres, a Petrosains Playsmart centre, sponsorship of the annual Sarawak Regatta and financial contribution to deserving NGOs and to the state natural disaster relief committee. Sidek said he hopes that Petronas’s close relationship with Sarawak in the development of its oil and gas industry will continue to grow even closer.